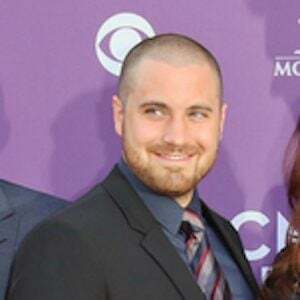 Drummer who is best known for his work in the bands Lady Antebellum and Edens Edge. He has performed with a variety of acts and live shows and continues to record as well. His parents both earned master's degrees in music education. By age 7, Chris had already begun leading worship every Sunday with his parents, who were music directors at their church, and he began playing for the band as well. He has appeared on a variety of television shows, including Saturday Night Live, The Today Show, Good Morning America, and Jimmy Kimmel Live! On January 7, 2012, he married Lady Antebellum lead singer Hillary Scott. Together they have a daughter named Eisele Kay Tyrrell. They welcomed twin girls in January 2018. As a drummer, he has toured with Tim McGraw and Josh Kelley.